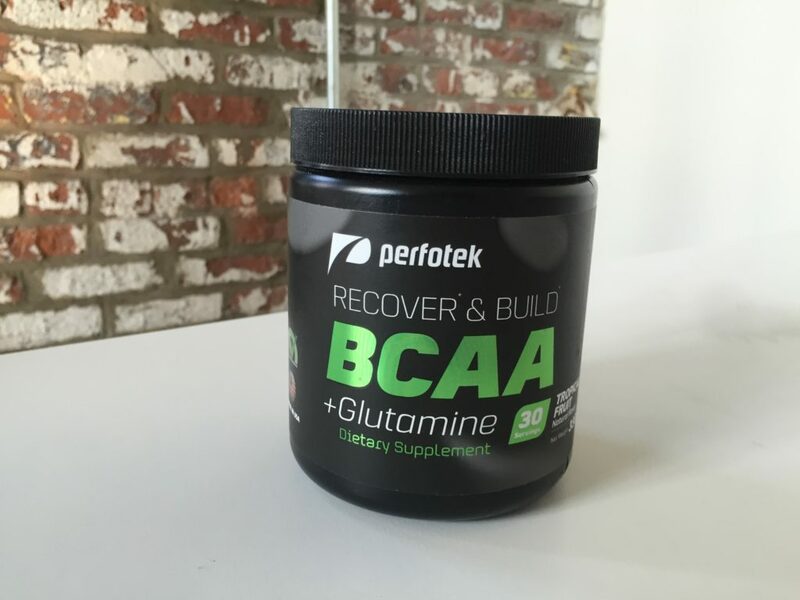 Home » Perfotek BCAA +Glutamine Review — Why Is it So High in Leucine? 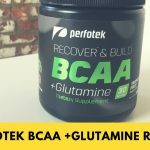 Perfotek BCAA +Glutamine Review — Why Is it So High in Leucine? Perfotek is a Florida-based company that’s probably best known for selling “waist trimmers,” which are these thick, heated belts that are intended to reduce belly fat. On the supplement side of things, their most popular offerings are collagen supplements and turmeric pills, but they also sell BCAA +Glutamine, a supplement that does contain the three branch chain amino acids, but in a way that might not be so effective. Let me tell you why. Click HERE to shop Perfotek BCAA + Glutamine. 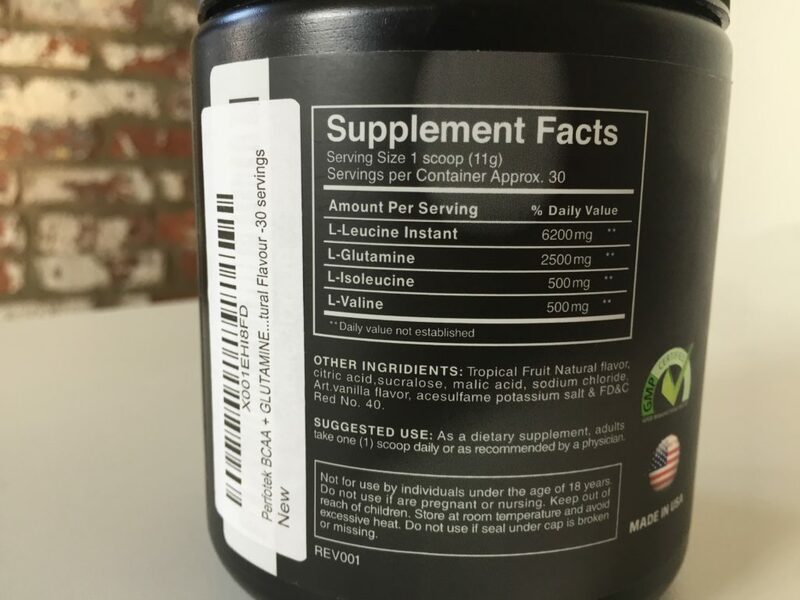 We picked the Tropical Fruit flavor, and there’s no calorie information here — which is always a little frustrating — but we do know there are 6.2 grams of leucine, 500 milligrams of isoleucine, and 500 milligrams of valine per serving. This is a pretty surprising ratio. Most BCAA supplements have a 2:1:1 or 3:1:1 ratio, while Perfotek has settled on something closer to 12:1:1. I’ll discuss the pros and cons of this in the “benefits and effectiveness” section below. After the BCAAs, there’s 2.5 grams of glutamine, and then the “other ingredients”: tropical fruit natural flavor, citric acid (for flavoring), sucralose (an artificial sweetener that’s also called Splenda®), malic acid (for flavoring), sodium chloride (an anti-caking agent), artificial vanilla flavor, acesulfame potassium (an artificial sweetener), salt, and red food dye number 40. So, why the 12:1:1 ratio? Well, leucine is the amino acid that’s most closely associated with muscle protein synthesis, while the other two are more closely linked to workout performance, focus, and fat loss. Some BCAAs out there that ditch the standard 3:1:1 ratio in favor of a ton of leucine, because why not just focus on the muscle building one? The thing is that studies have found that for whatever reason, muscle protein synthesis is nonetheless higher when athletes supplement with a 2:1:1 or 3:1:1 ratio than with a very high leucine blend. Plus, even if that weren’t the case, I’d rather have a BCAA that also boosts endurance and focus than one that just boosts muscle protein synthesis, especially since BCAAs are often taken before a workout with the specific goal of improving performance. To be clear, Perfotek’s BCAA probably will help muscle growth and retention, but perhaps not to the degree that a standard 2: or 3:1:1 supplement will. Then there’s the glutamine. Study after study has shown that glutamine really isn’t a great supplement for building muscle. It’s already the most abundant amino acid in the body and when you take extra glutamine, practically all of it is stored in the gut and doesn’t make its way to the muscles. If you have an extremely high intake, eventually the glutamine will make its way to muscles, but it will do so very slowly — a supplement won’t send it straight to your muscles to help them recover. It costs $20 for 30 servings, which makes 66 cents per serving. Each serving provides 7.2 grams of BCAAs, so that’s 9.2 cents per gram of BCAA. That’s very inexpensive; most brands are closer to 11 cents per gram of BCAA, but then again, the average supplement isn’t this low in isoleucine and valine. The only BCAA I’ve seen that’s cheaper than Perfortek is BSN’s Amino X, which is 6.6 cents per gram. It doesn’t disclose its ratio of BCAAs, though. It tastes great. “Fruit Punch” usually means it tastes like cherry and watermelon Jolly Ranchers, but Perfotek’s Fruit Punch tastes like mixed fruit juice. That means pineapple, orange, mango, and a little vanilla. It’s actually the tastiest BCAA I’ve tried so far, but drink it quickly — after leaving it out for a few minutes, the flavor became quite a bit chalkier. I wasn’t that impressed by this supplement. It has more leucine than it needs to be a good BCAA drink, and research suggests that as a muscle building supplement, leucine won’t be as effective as a BCAA with more isoleucine and valine. Then it contains glutamine, which may also be a subpar supplement for building muscle. Yes, it’s cheap and tasty, but I’m not convinced the ingredient profile here is the best it could be.